The state’s 67 elections departments have just five days to recount more than 8.2 million combined ballots cast over an entire month leading up to Tuesday’s midterms. TALLAHASSEE — Florida Secretary of State Ken Detzner was aware of recount issues that surfaced in Broward County on Sunday, but said through a spokeswoman that the issues were resolved. The county had an issue during the logic and accuracy testing, spokeswoman Sarah Revell, but the recount is now underway. Logic and accuracy testing is required so that any potential issues can be corrected before a recount begins. 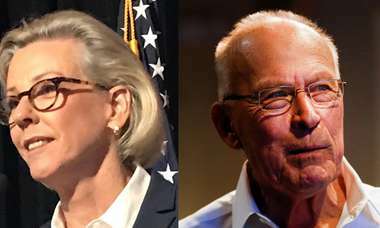 On Saturday, the razor-thin margins in the races of U.S. Senate, agriculture commissioner and the governor's race caused Detzner to order mandatory machine recounts in all three statewide races after all counties submitted their unofficial results by noon. The state's 67 elections departments have just five days to recount more than 8.2 million combined ballots cast over an entire month leading up to Tuesday's midterms. On Sunday, the numbers remained tight. In the race for U.S. Senate, Gov. Rick Scott leads U.S. Sen. Bill Nelson by 12,562 votes, a difference of 0.15 percent. In the race for governor, U.S. Rep Ron DeSantis leads Tallahassee Mayor by 33,684 votes, a difference of 0.41 percent. And in the notably close race for agriculture commissioner, Fort Lauderdale attorney and lobbyist Nicole "Nikki" Fried leads Rep. Matt Caldwell by 5,326 votes, a difference of 0.07 percent. By Sunday morning, about 480 more overseas ballots had been received statewide, according to University of Florida political science professor Dan Smith. Miami-Dade has about 3,300 overseas ballots out, while Broward has 2,600 and Palm Beach has 1,600. Over 10,100 vote-by-mail ballots in Florida have been rejected because of a unspecified "voter-caused error," and another 10,100 have been rejected because of missing a signature on the Voter's Certificate. 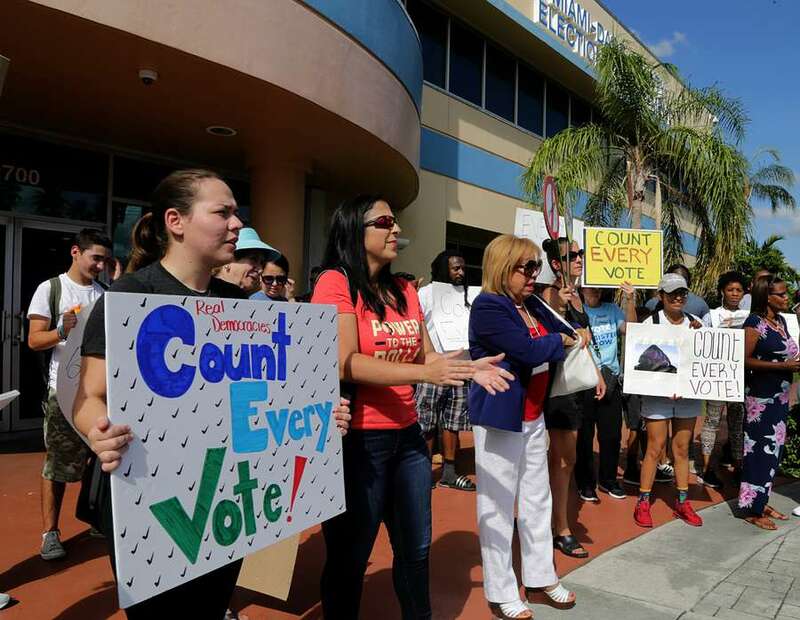 Broward County was supposed to start its recount at 7 a.m. Sunday, cranking out recounts in 24-hour shifts from its Lauderhill facility. But glitches with the machines delayed the start by four hours. The county also has to recount four local elections, will run more than 700,000 ballots through its machines. A total of seven races will be recounted on the same machines. Broward Supervisor of Elections Brenda Snipes told reporters Saturday that the machines can handle them all at same time. In order to make the Thursday deadline, the county has to count about 6,874 ballots per hour, so that delay puts Broward about 25,000 ballots behind that pace. RELATED COVERAGE: Machine recounts in Hillsborough start with little drama. Gov. Rick Scott's attorney, Tim Cerio, said he didn't know what caused Broward County's delay Sunday morning, but that two more machines were being sent to the office from Orlando. In Miami-Dade, the state's most populated county, the recount officially began early Saturday evening, as workers began to load paper ballots into scanning machines for a tabulation that will likely take days. Hillsborough and Pinellas Counties, home to Tampa and St. Petersburg each began their respective recounts at 9 a.m. Sunday. 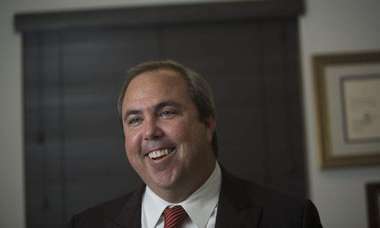 Hillsborough Supervisor of Elections Craig Latimer told reporters Sunday that he had no doubt his office would meet Thursday's deadline for completing the machine recount of more than 520,000 ballots. Nor did he see the likelihood that the results would shift much. In Palm Beach County, the election supervisor told reporters Saturday afternoon that the Thursday deadline would be "impossible" to meet. Supervisor Susan Bucher started the recount process at 5 p.m. Saturday, the Palm Beach Post reported, but said that even bringing in extra county workers couldn't solve the problem. "I will tell you that the secretary and the legislature and the governor have been extremely aware that with the election equipment we have, the potential of conducting all of these is impossible," Bucher told the Post. "We have asked the secretary if there was any consideration to extend the deadline and he said 'no.' "
The deadlines for submitting the results of the recount are laid out in Florida law and the law does not give the Secretary of State any authority to grant extensions. Florida law states that if a county does not submit their results by the deadline then the results on file at that time take their place. The results from machine recounts across the state must be finished by 3 p.m. Thursday for the revised totals to be counted as official results. On Friday, overseas and military ballots, which traditionally trend Republican, will be counted. If the threshold after this second round drops below 0.25 percent, the state can order a manual recount for federal and state races. A manual recount means the canvassing boards count each overvote and undervote by hand. An overvote means the voter picked more choices than allowed on their ballot. An undervote means the voter made no choice or fewer than the number of allowable choices on the ballot. Official returns from that recount would be due from counties no later than noon next Sunday, Nov. 18. On Monday, Nov. 19, official results from counties are certified by the state. While all eyes are on the recount, the candidates are continuing to campaign. On Saturday, Fried declared victory at press conference, prematurely announcing her transition team and plan for first days in office. She is still calling for volunteers, donations and legal help to see the recount through. Her opponent, Caldwell kept behind closed doors Saturday, working with his attorneys on a lawsuit against Brenda Snipes. Scott has also sued Snipes as well as Palm Beach County Supervisor Susan Bucher. Nelson, on the other hand, has sued Secretary Detzner demanding the state count all provisional and mail-in ballots deemed to have a signature mismatch. Gillum, who has a rally scheduled at 5 p.m. in Fort Lauderdale, tweeted yesterday that he was "replacing my earlier concession with an unapologetic and uncompromised call to count every vote." DeSantis made a brief appearance in Hialeah Gardens last week, and told reporters that despite the potential recount process he was "looking forward to serving" in office. He posted a video Saturday night saying he was ready to take office. Unless problems arise with the machine recounts, the state department is expected to keep quiet until totals come in. Revell said the Division of Elections will be available 24 hours to help answer questions and provide information to both the public and the county canvassing boards.